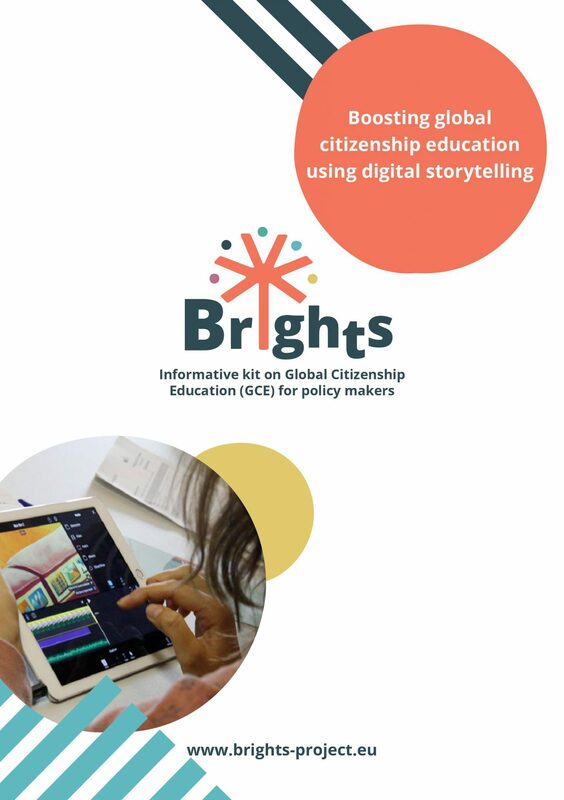 A comprehensive Informative Kit on Global Citizenship Education has been published by ALL DIGITAL in the framework of the BRIGHTS “Boosting Global Citizenship Education using digital storytelling” project. The current global scenario, marked by social, political, environmental and financial crises, requires Education and training policy makers to assume greater responsibility than ever in ensuring that learners of all ages and backgrounds can develop into informed, critically literate, socially-connected, ethical and engaged global citizens. In this perspective, the BRIGHTS Informative kit aims to equip policymakers with all the necessary knowledge about the role that Global Citizenship Education can play in the contemporary society, convincing them into adopting Global Citizenship Education in the training and education curricula. The document summarizes the concept of Global Citizenship Education, its benefits and methodology, and introduces the Digital Storytelling technique as a tool to teach Global Citizenship Education more effectively. Furthermore, it provides best practices regarding its application. It can be used both as a resource to approach the field of Global Citizenship Education for the first time and as a basis to plan and implement more extensive and focused studies and practices in the field. Please click here to download the English version of the Informative Kit on GCE. It will be available soon in Dutch, Italian, Croatian and Greek on the project website.